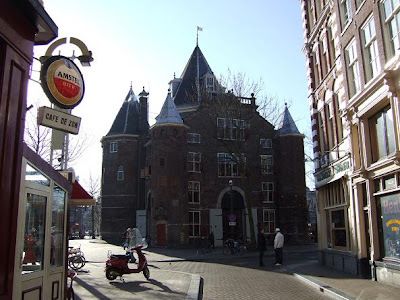 The Waag(Weigh House) was build in 1488 and was originally one of the city gates. After the city tore town its walls in 1601 the building was used as a weigh house. 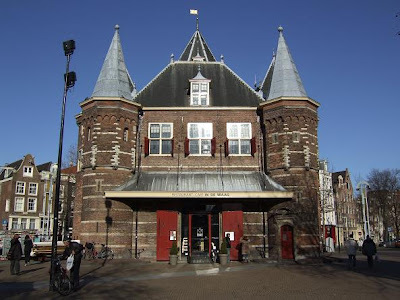 Later the Waag had numerous purposes, like housing a fire brigade and two museums. Nowadays it is used as a restaurant where you can eat in a unique atmosphere in an interior that is lit by 300 candles. You can find the Waag in Nieuwmarkt 4 in the centre of Amsterdam. We are a family of 5 from Belgium. We love travelling and discovering new places in Europe. I hope we can inspire you for your holiday in Europe. Have a look at our destinations so far and feel free to ask any additional info of the places we visited. have you been to the red light district in Amsterdam? Quite interesting.